Eva Gomez makes unique contributions to nursing by combining her strong clinical knowledge, and her excellent “people” skills with her love of her rich Hispanic culture. Navigating the health care system is challenging for Hispanics and other minorities, and providing optimal care to culturally diverse clients is challenging for health care providers. As a MSN-prepared nurse with clinical experience with adults, children and families in both acute care and community settings, Ms. Gomez has the education and expertise to deliver highly competent care and to educate other health care providers in care delivery. As a Hispanic nurse, she has fluency in the Spanish language, culture and customs. Eva has combined these abilities to serve the Hispanic community, health care providers and the broader community by acting as an advocate and liaison, by developing and implementing educational programs in cultural competence for health care providers, and by directly educating patients and families. Eva earned a BSN from Carlow College in Pittsburgh in 1993. After several years in pediatric and critical care nursing, she earned an MSN degree in Nursing Education from UNCG in 2003. Master’s education allowed Eva, originally from Puerto Rico, to collaborate with Brenner Children’s Hospital to develop the role of Hispanic Education Coordinator. Eva served in this role for six years, educating families about plans of care; acting as a liaison between patients and staff; and educating staff about Hispanic patients. During this time she developed strong skills in client advocacy and in assisting institutions to enhance delivery of culturally competent care. She contributed her expertise to numerous groups such as the Governor’s Task Force for Healthy Carolinians. Care of children has always been a top priority for Eva, and in 2007 she accepted a position as Staff Development Specialist at Boston Children’s Hospital. There she has taken dynamic leadership roles in numerous activities to benefit the agency, the populations the agency serves, and agency employees. For example, she chairs the Education Subgroup of the Diversity and Culturally Competent Care Council, where she developed a framework for cultural competence education throughout the hospital. She coordinates the Student Career Opportunity Outreach Program to recruit high school students into nursing. She organized the first Multi-Cultural Nurses’ Forum at Children’s Hospital. She coordinates the Career Lattice Program to assist employees, particularly minorities, to enter the nursing workforce. Eva is on diversity boards for several organizations, and is a Nurse Scholar’s mentor for the University of Massachusetts. 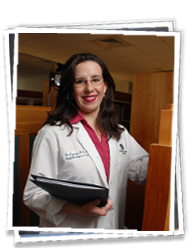 She is Vice President of the Massachusetts chapter of the National Association of Hispanic Nurses. Anita Tesh, Associate Professor at UNCG, says Eva “brings amazing energy and insight to every endeavor she undertakes.” Eva’s work has been extensively covered in the media, and she has done numerous presentations and publications on cultural competence. She is nearing completion of a PhD at the University of Massachusetts. Eva has truly combined the tools gained during the MSN program with a passion for patient care and boundless energy.